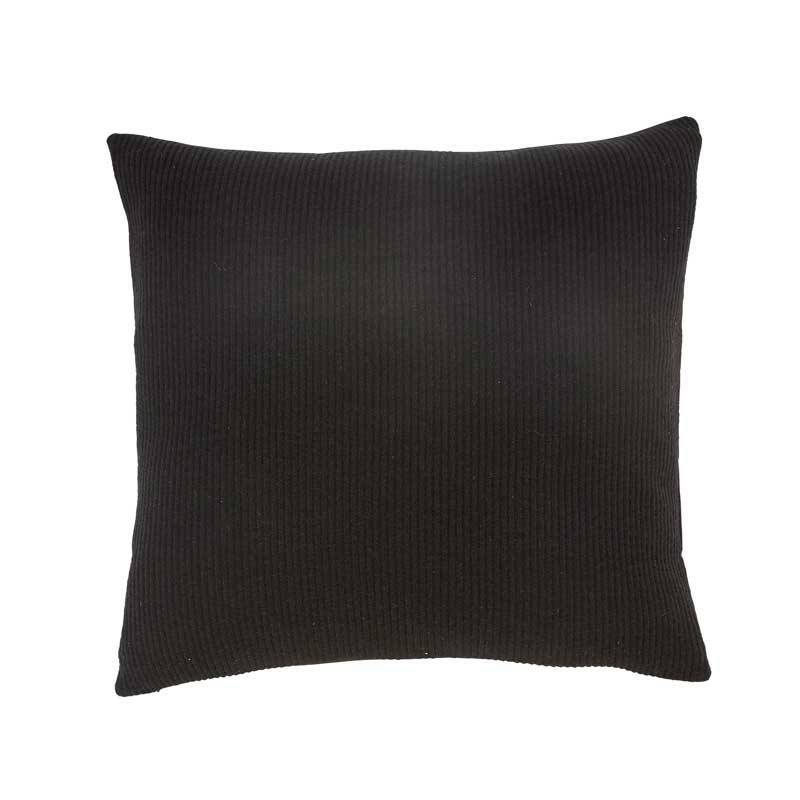 Cushion with fine knitted front in black and plain black fabric on the back. Size 50x50 cm. 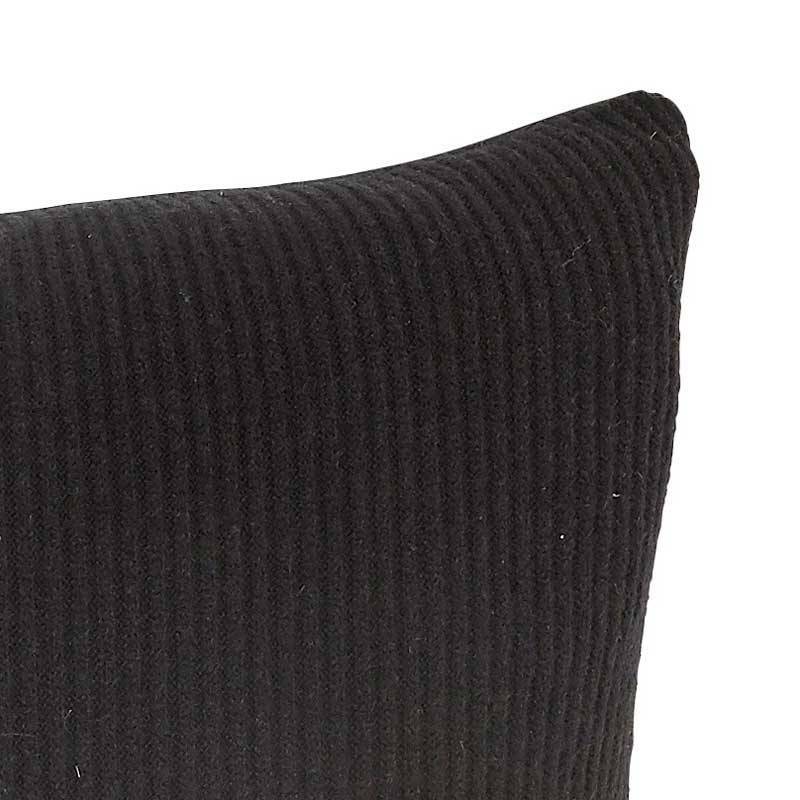 Washable at 30 degrees (machine). Do not tumble dry.